What does one hour mean to you? For a student in the El Dorado School District, it means that someone cares about them. It means that someone believes in them. It means that someone is there for them. 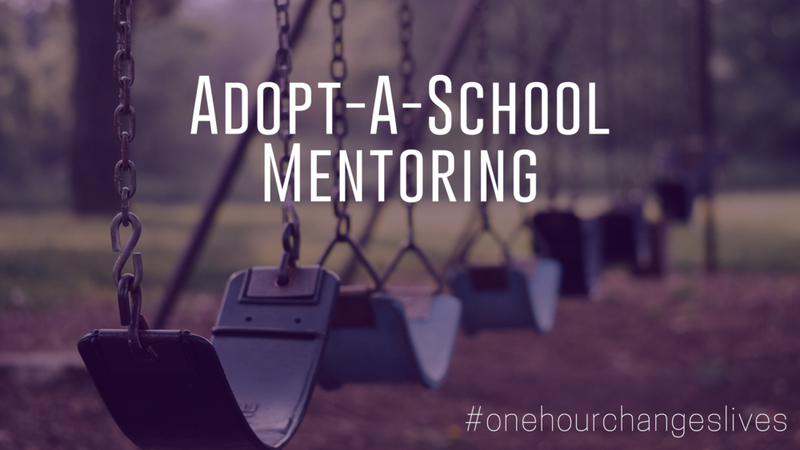 The Adopt-A-School Mentoring Program was created so that students in our schools would have someone who would spend one hour each week with them from elementary school all the way through graduation. The student will have access to a mentor who will get to know them, be there for them, encourage them and let them know that someone cares. You are invited to invest one hour each week into a student in El Dorado who needs a person to speak into their life. You are invited to discover that one hour changes lives. To learn more about becoming a mentor, please fill out the form below or download the application here. Thank you for your interest. We will contact you with more information. What is the process to become a mentor? To become a mentor, you will need to fill out an application, pass a background check, and attend a training for all mentors. After that you will be paired with a student or two and begin mentoring. Will this fit in my schedule? We will work with your schedule and the school to find a time each week that you are able to meet. Please note this must happen during school hours, but there is flexibility concerning times. You will only meet one hour each week. How long must I commit to this program? Our desire is that each student has the same mentor from elementary school through high school. We understand that life happens and you may not know your future plans, but keep in mind, this is meant to be a long term commitment. What will I do with the student I'm mentoring? Spend time. You will have access to a room at the school where there will be games, books, etc to enjoy together. This is not meant to be a tutoring program. You are simply encouraged to spend time talking to your student about their life.